Austin, TX area dermatologist Dr. Renee Snyder is proud to offer ThermiTight nonsurgical skin tightening from her private practice, Snyder Dermatology. ThermiTight is an innovative nonsurgical skin-tightening procedure, which helps to boost collagen and tighten loose skin. Our bodies have a full supply of collagen and elastin when we are first born. These natural substances help our skin to remain smooth, healthy, and resilient for years to come. However, over time, the supply of these nutrients begins to dwindle, causing a decrease in the elasticity of our skin and allowing lines, wrinkles, and sagging to occur. 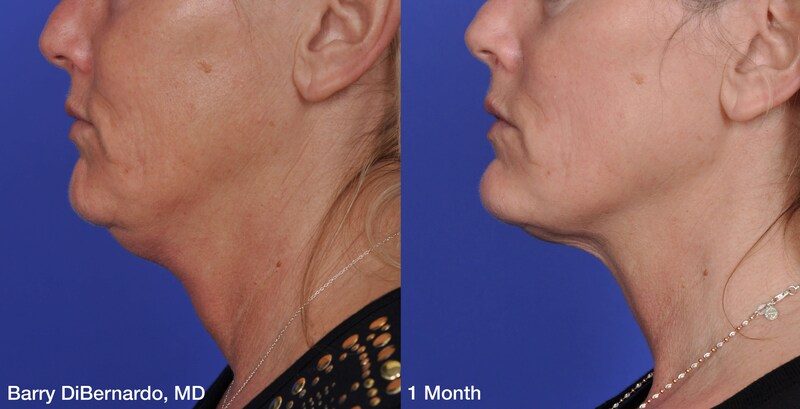 Austin area patients who wish to improve the overall appearance of their skin without cosmetic surgery may be ideal candidates for nonsurgical skin tightening with ThermiTight. This advanced technology using the ARVATI machine heats the skin beneath the surface to stimulate the production of collagen and elastin so you can achieve healthier skin without surgery. Schedule your consultation with Dr. Snyder at Snyder Dermatology today to learn more. Before beginning your treatment, a member of the Snyder Dermatology team will lead you back to one of our comfortable and thoughtfully decorated minor procedure rooms. The predetermined type of anesthesia will be administered before Dr. Snyder gently inserts the ThermiTight wand beneath the top layer of your skin. The handheld applicator will slowly begin to warm the treatment area, stimulating the production of collagen. Your results may take a few weeks to appear but will be long-lasting and gorgeous. Because your procedure will be performed under some sort of anesthesia, you should make arrangements to be driven home following your treatment. You may experience soreness, redness, and/or swelling of the treatment area, but this will subside in the coming days. You should be able and ready to return to your daily activities the following day. Dr. Snyder or a member of her team will provide you with detailed instructions on how best to care for the treatment area to expedite healing and prevent infection. ThermiTight will provide long-lasting results that will improve the overall appearance of your skin. Depending on the size and amount of areas being treated, the cost of ThermiTight nonsurgical skin tightening can vary. Prior to your treatment, Dr. Snyder will create a customized treatment plan, which will allow our team to better determine your out-of-pocket costs. Our facility does accept many payment methods and can help you apply for medical financing. If you are interested in firming and rejuvenating your skin to achieve the firm, toned look of your dreams, schedule an appointment with Snyder Dermatology to learn more about ThermiTight. This innovative, nonsurgical treatment can improve the health and tone of your skin, reducing the appearance of fine lines, wrinkles, and laxity. Call us to schedule an appointment with Dr. Snyder and allow us to create a personalized treatment plan that will help you achieve your aesthetic goals.